FactFind: Have people been killed in road crashes where drivers were just over the limit? Danny Healy-Rae claimed that people drinking three glasses of Guinness have never caused a fatality. 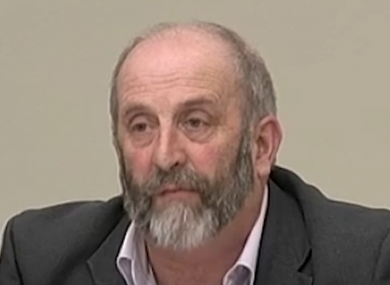 Danny Healy-Rae speaking before the Oireachtas Transport Committee on Wednesday. ON WEDNESDAY, KERRY TD Danny Healy-Rae attacked plans to bring in tougher sanctions for people caught driving above the legal alcohol limit. Ireland’s blood alcohol limit is 50mg of alcohol per 100ml of blood and Minister Shane Ross wants to make it so that anyone who is in any way above it gets an automatic driving ban. The ban would last for three months and there would also be a €200 fine. Opponents of the ban include Fianna Fáil and some independent TDs who say it would harshly take a licence from someone who might be marginally over the limit. Including those who may have been drinking the night before. Instead, they want tougher penalties for people caught significantly above the limit. Arguing against the automatic ban at the Oireachtas Transport Committee during the week, Healy-Rae said that banning drivers who were just over the limit amounted to “an attack on rural life”. He said that other factors contributed to rural road deaths such as roads that are unsuitable for people to walk on. “Nobody caused a fatality by having three glasses of Guinness drank,” he added. Healy-Rae didn’t provide any figures to back up his claim. The Garda Traffic Corps on duty. While we’re not going to look directly at whether or not Guinness was the offending intoxicant, we can look at the figures for alcohol deaths in the range Ross wants to ban drivers for. Specifically, in the range just above the legal limit of between 50 and 80mg per 100ml. According to Road Safety Authority stats for Ireland from 2008 to 2012, 16 people were killed in collisions where drivers or motorcyclists had a recorded BAC level in that range. Furthermore, when you include people who were below the limit but still had alcohol in their system (the 20mg to 50mg range), the figure increases further. So, between 2008 and 2012 a total of 35 people were killed in collisions where drivers or motorcyclists had a recorded BAC level of between 21 and 80mg per 100ml. Crucially, both those figures counted only cases in which the driver was deemed culpable due to alcohol being a contributory factor. That translates to 7 or 8 people, on average, being killed per year over this period at the lower alcohol levels. Quantifying what exactly three glasses of Guinness means to blood alcohol is of course very difficult because it depends on so many factors like gender, age, weight and the time over which it was consumed. What the facts do show, however, is that alcohol at low levels has been a factor in fatal road deaths. Email “FactFind: Have people been killed in road crashes where drivers were just over the limit?”. Feedback on “FactFind: Have people been killed in road crashes where drivers were just over the limit?”.